Home » Almighty God , believe in God , God , God's will , God's work , Holy Spirit » Almighty God's word "How Is Your Relationship With God"
Almighty God's word "How Is Your Relationship With God"
In believing in God, you must at least resolve the issue of having a normal relationship with God. Without a normal relationship with God, then the significance in believing in God is lost. Establishing a normal relationship with God is entirely attained through quieting your heart in God’s presence. A normal relationship with God means being able to not doubt or deny any of God’s work and submit to it, and furthermore it means having the right intentions in the presence of God, not thinking of yourself, always having the interests of God’s family as the most important thing no matter what you are doing, accepting God’s observation, and submitting to God’s arrangements. 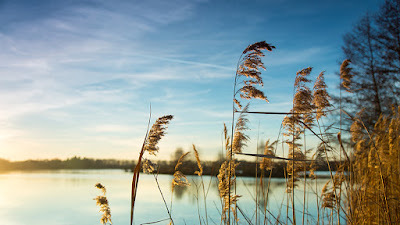 You are able to quiet your heart in God’s presence whenever you do anything; even if you do not understand God’s will, you must still fulfill your duties and responsibilities to the best of your ability. It is not too late to wait for God’s will to be revealed to you and then put this into practice. When your relationship with God has become normal, then you will also have a normal relationship with people. Everything is established on the foundation of God’s words. Through eating and drinking the words of God, practice in accordance with God’s requirements, put your viewpoints right, and do not do things that resist God or disturb the church. Do not do things that do not benefit the lives of the brothers and sisters, do not say things that do not contribute to other people, do not do shameful things. Be just and honorable when doing all things and make them presentable before God. Even though the flesh is weak sometimes, you are able to attach the highest importance to benefiting God’s family, not covet your own benefits, and carry out righteousness. If you can practice in this way, your relationship with God will be normal. Whenever you do anything, you must examine whether your motivations are right. If you are able to act according to the requirements of God, then your relationship with God is normal. This is the minimum criterion. If, when you examine your motivations, there emerge those that are incorrect, and if you are able to turn your back on them and act according to the words of God, then you will become someone who is right before God, which will show that your relationship with God is normal, and that all that you do is for the sake of God, and not for yourself. Whenever you do or say anything, you must put your heart right, be righteous, and not be led by your emotions, or act according to your own will. These are the principles by which believers in God conduct themselves. A person’s motivations and stature can be revealed in a small thing, and thus, for people to enter onto the path of being made perfect by God, they must first resolve their own motivations and their relationship with God. Only when your relationship with God is normal will you be able to be made perfect by God, and only then will God’s dealing, pruning, discipline, and refinement in you be able to achieve their desired effect. That is to say, people are able to have God in their hearts, not seek personal benefits, not think about their personal future (referring to thinking of the flesh), but rather they bear the burden of entering life, do their best to seek truth, and submit to God’s work. This way, the objectives you seek are correct, and your relationship with God is normal. It can be said that fixing one’s relationship with God is the first step on entry into one’s spiritual journey. Although man’s destiny is in God’s hands, and has been predestined by God, and cannot be changed by themselves, whether or not you can be made perfect or gained by God depends on whether or not your relationship with God is normal. Perhaps there are parts of you that are weak or disobedient—but as long as your outlook is right and your motivations are correct, and as long as you have put right your relationship with God and made it normal, then you will be qualified to be made perfect by God. If you do not have the right relationship with God, and act for the sake of the flesh, or your family, then regardless of how hard you work it will all be for nothing. If your relationship with God is normal, then everything else will fall into place. God looks at nothing else, but He looks only at whether your views on the belief in God are right: who you believe in, for whose sake you believe, and why you believe. If you are able to see these things clearly, and are able to put right your views and practice, then your life will make progress, and you are sure to be able to enter onto the right track. If your relationship with God is not normal, and your views on the belief in God are deviant, then these will preclude all else. No matter how you believe in God, you will gain nothing. Only if your relationship with God is normal will you be approved by God when you turn your back on the flesh, pray, suffer, endure, obey, help your brothers and sisters, devote more effort to God, and so on. Whether or not something you do has value and significance depends on whether your intentions are right and whether your viewpoints are correct. Nowadays, many people’s belief in God is like looking at a clock with their head turned to one side—their viewpoints are deviant. Everything will be good if a breakthrough can be made here, everything will be fine if this is resolved, while everything shall come to nothing if this is not resolved. Some people behave well in My presence, but behind My back all that they do is resist. These are crooked and deceitful manifestations and this type of person is a servant of Satan, they are the typical embodiment of Satan to test God. You are only a right person if you are able to submit to My work and My words. 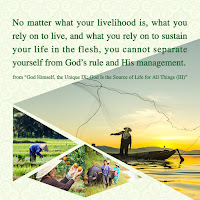 As long as you are able to eat and drink the words of God, as long as everything you do is presentable before God, everything you do is just and honorable, as long as you do not do shameful things, do not do things that would harm the lives of people, as long as you live in the light, and are not exploited by Satan, then your relationship with God will be put right. In believing in God, your intentions and viewpoints must be put right; you must have a correct understanding and correct treatment of the words of God, God’s work, the environments arranged by God, the man testified by God, and of the practical God. You must not practice according to your personal thoughts, or make your own little plans. You must be able to seek truth in everything and stand in your place as a creation of God and submit to all of God’s work. If you want to pursue being perfected by God and enter into the right track of life, then your heart must always live in God’s presence, not be dissolute, not follow Satan, not leave Satan any opportunities to do its work, and not let Satan use you. You must completely give yourself to God and let God rule over you. Are you willing to be Satan’s servant? Are you willing to be exploited by Satan? Do you believe in God and pursue God so that you can be perfected by Him, or is it so you become a foil in God’s work? Are you willing to be obtained by God and live a meaningful life, or are you willing to live a worthless and empty life? Are you willing to be used by God, or exploited by Satan? Are you willing to let God’s words and truth fill you, or let sin and Satan fill you? Consider and weigh this out. In your daily life, you must grasp those words you say and those things you do that will cause your relationship with God to be abnormal, then rectify yourself and enter into the correct manner. Examine your words, your actions, your each and every move, and your thoughts and ideas at all times. Grasp your true state and enter into the way of the work of the Holy Spirit. Only in this way can you have a normal relationship with God. By weighing out whether your relationship with God is normal, you will be able to rectify your intentions, understand the essence of man, and understand yourself; through this, you will be able to enter into real experiences, truly forsake yourself, and achieve deliberate submission. 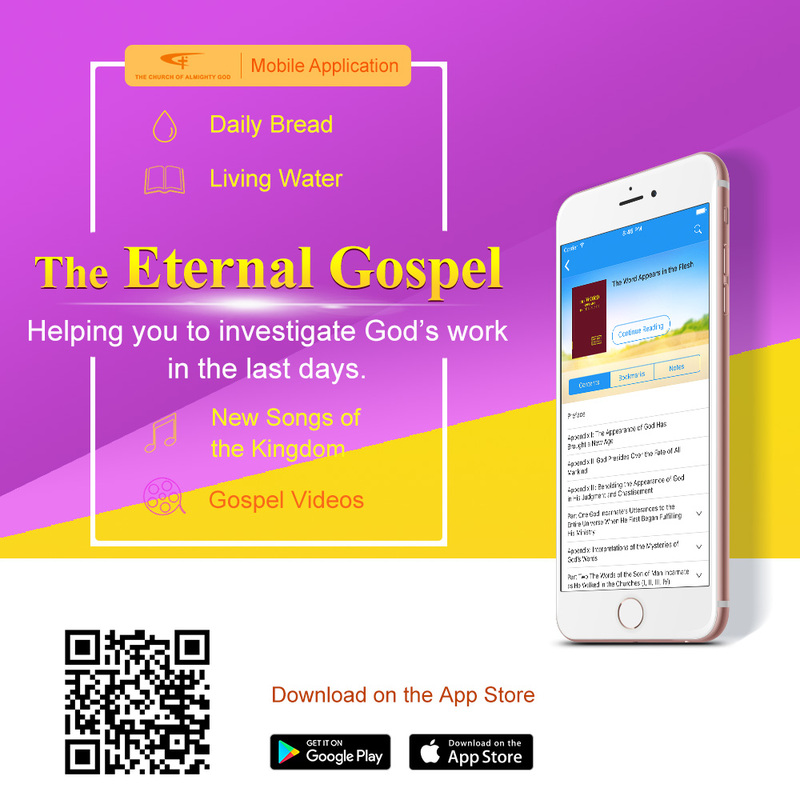 In such matters as when you are experiencing whether your relationship with God is normal, you will be able to find opportunities to be perfected by God, you will be able to understand many situations under which the Holy Spirit is working, and you will be able to see through many of Satan’s tricks and conspiracies. Only through this way can you be perfected by God. You put right your relationship with God so that you will submit yourself to all the arrangements of God. It is so you will more deeply enter into real experiences, and obtain more work of the Holy Spirit. When you are practicing having a normal relationship with God, most of the time, you will attain this through forsaking the flesh and through your real cooperation with God. You should understand that “without a cooperative heart, it is difficult to receive the work of God; if the flesh does not suffer hardships, there are no blessings from God; if the spirit does not struggle, Satan will not be ashamed.” If you practice and clearly understand these principles, your viewpoints on the faith in God will be put right. In your current practices, you must discard the viewpoint of “seeking bread to satisfy hunger,” you must discard the viewpoint of “everything is done by the Holy Spirit and people are unable to intervene.” People who speak this way all think, “People can do whatever they are willing to do, and when the time comes the Holy Spirit will work and people will have no need to overcome the flesh, they will have no need to cooperate, and only need the Holy Spirit to move them.” These viewpoints are all absurd. Under these circumstances, the Holy Spirit is unable to work. It is this kind of viewpoint that becomes a great obstruction to the work of the Holy Spirit. Often times, the work of the Holy Spirit is attained through people’s cooperation. Without cooperation and resolution, then wanting to change one’s disposition, obtain the work of the Holy Spirit, and obtain enlightenment and illumination from God are all extravagant thoughts; this is called “indulging one’s self and pardoning Satan.” People like this do not have a normal relationship with God. You have found many manifestations of Satan in yourself, and in your past actions, there are many things that have run counter to God’s current requirements. Are you able to forsake them now? Attain a normal relationship with God, do according to God’s intentions, become a new person and have a new life, don’t look back at past transgressions, don’t be overly remorseful, be able to stand up and cooperate with God, and fulfill the duties that you should perform. This way, your relationship with God will be normal. If you merely accept these words verbally after reading them but are not moved in your heart, and are not serious about having a normal relationship with God, then it proves that you do not attach importance to your relationship with God, your viewpoints have not yet been put right, your intentions are still not directed at allowing God to obtain you, and allowing God the glory, but rather are directed at allowing Satan’s conspiracies to prevail and for obtaining your personal purposes. This kind of people all have incorrect intentions and viewpoints. Regardless of what God has said or how it is said, they are indifferent and no transformation can be seen. Their hearts don’t feel any fear and they are unashamed. This kind of person is a confused person without a spirit. For every utterance of God, after you have read it and you have gained an understanding, you shall put it into practice. Regardless of how you used to practice before—perhaps in the past your flesh was weak, you were rebellious, and you resisted—this is not a big deal, and it can’t obstruct your life from growing today. As long as you are able to have a normal relationship with God today, then there is hope. If for every time that you read God’s words, you have changes and allow other people to see that your life has transformed for the better, it shows that you have a normal relationship with God and that it is put right. God does not treat people based on their transgressions. As long as you are able to not rebel again and not resist again after you have understood and are aware, then God will still have mercy on you. When you have this understanding and the will to pursue being perfected by God, then your condition in God’s presence will be normal. No matter what you do, consider: What will God think if I do this? How will it affect the brothers and sisters? Examine your intentions in your prayer, fellowship, speech, work, and contact with people, and examine whether your relationship with God is normal or not. If you are unable to distinguish your intentions and thoughts, then you have no discrimination, which proves that you understand too little about truth. Have a clear understanding of everything that God does, see things according to God’s word and see things by standing on the side of God. This way your viewpoints will be correct. Therefore, to build a good relationship with God is a top priority for anyone believing in God; everyone should treat it as the most important task and as their major life event. Everything you do should be weighed against whether or not you have a normal relationship with God. If your relationship with God is normal and your intentions are correct, then do it. In order to maintain a normal relationship with God, you can’t be afraid of losing out on personal interests, you can’t allow Satan to prevail, you can’t allow Satan to have a handle on you, and you can’t allow Satan to make you into a laughing stock. Such an intention is a manifestation that your relationship with God is normal. It is not for the flesh, but rather it is for peace of spirit, it is for obtaining the work of the Holy Spirit and for satisfying the will of God. If you are to enter into a correct state, you must build a good relationship with God, you must set right your viewpoint of belief in God. It is to allow God to obtain you, to allow God to reveal the fruits of His words in you, and to enlighten and illuminate you even more. This way you will enter into the correct manner. Continuously eat and drink God’s current words, enter into the current way of the Holy Spirit’s work, do according to God’s current requirements, not follow old-fashioned practices, not cling to old ways of doing things, and quickly enter into the manner of today’s work. This way your relationship with God will be completely normal and you will enter into the right track of believing in God.